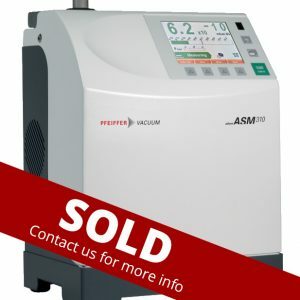 Demo ASM 340 - Vacuum Products Canada Inc.
Large detachable color touch screen control/display panel with SD card for recording capability and friendly user interface. 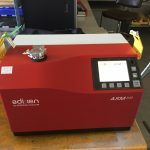 High performance 53 L/S Pfeiffer hybrid turbo molecular drag pump with added superior compression ratio and low maintenance operation. 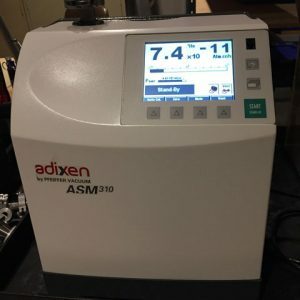 Independent ramped dual yttria coated iridium filaments in analyzer for extended long life operation and low maintenance. High roughing capacity of 11 CFM with reliable low RPM rotary vane mechanical pump for added performance (T3-Fast Time To Test) and continuous long life operation. 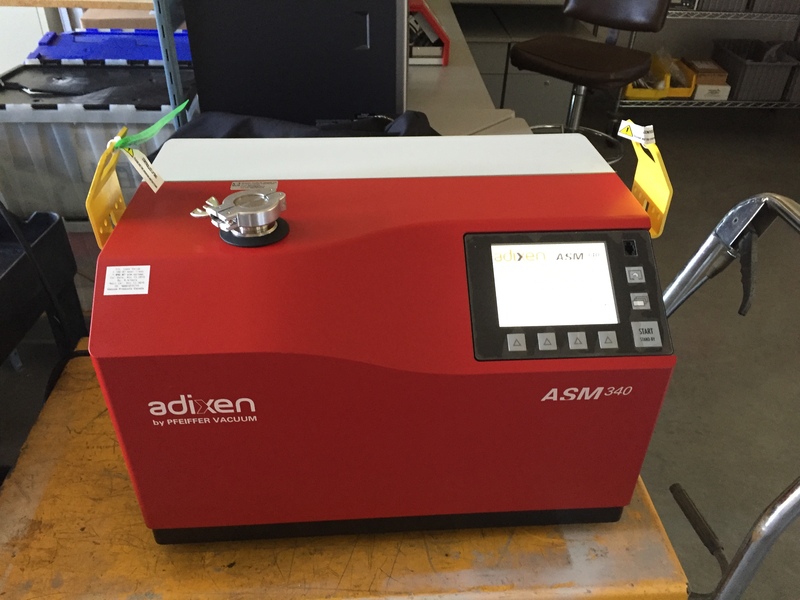 Integrated helium calibrated leak for full automatic calibration with temperature and age compensation. Integrated selectable languages with digital voice for worldwide recognition (English, French, German, Italian, Spanish, Russian, Japanese, Chinese, Korean). 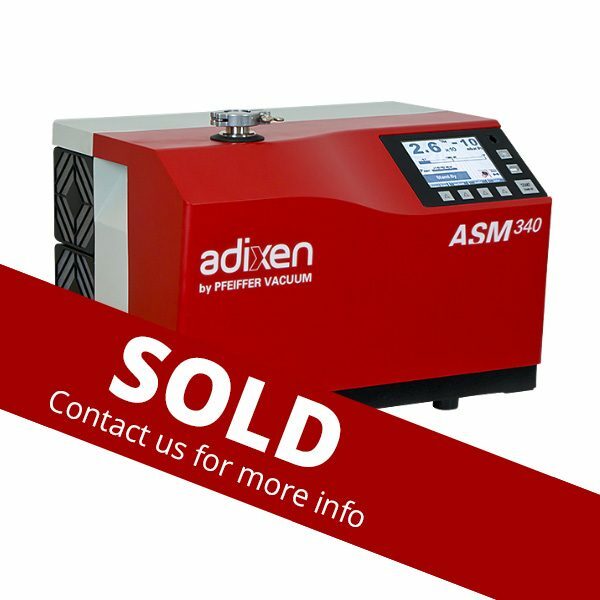 This system, as well as all other Adixen helium leak detectors, is fully protected against power failure, air in-rushes or incorrect operations.